We offer limousine transportation service to Niagara Falls Casinos and Casino Rama from all areas in the GTA and golden horseshoe. Niagara Falls Casino and Casino Rama Limousine Service is operated by Toronto Airport Limo, an exceptional limousine service company serving Toronto, GTA and Niagara Peninsula and surrounding areas. Our Casino Limo's provide transportation to both the Niagara Fallsview Casino and the Casino Niagara casinos located in Niagara Falls Ontario. 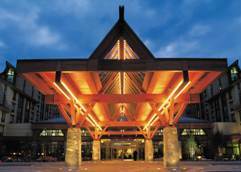 We also provide transportation to the Casino Rama resort located in Rama, Ontario. It's easy to reserve a limo to casino. Our limousine fleet includes everything from luxury sedans, Lincoln Towncars, Cadillac Escalades to 14 passenger SUV Stretch Limos. All of our vehicles are very well maintained, under two years old, and are properly licensed and insured. 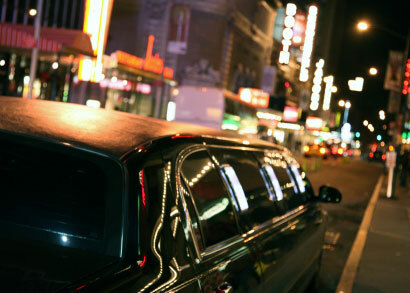 You'll feel comforted knowing that you have selected the best Casino Limousine service around! We will meet and exceed your transportation needs better than any other transportation company you may have used in the past. Please call us to find out the rates for locations outside of Toronto GTA. The rates will differ depending on the area of service if it is outside out GTA. The price shown is a "two-way return trip" cost to either of the Niagara Falls Casinos (Fallsview Casino or Casino Niagara) OR Casino Rama. All rates are subject to Applicable Taxes and 15% Driver Gratuity. 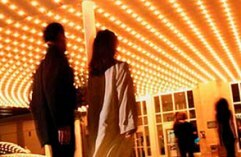 Discover year-round entertainment at Niagara Falls casinos. More than just an exciting gaming experience, Ontario casinos offer theatres, dining and more. Casino Niagara features 45 gaming tables, a comedy club, weekly live Niagara entertainment and four different venues for dining and drinks. 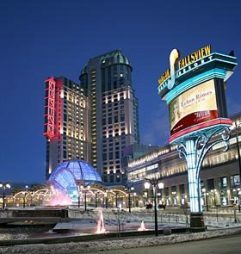 A luxury Ontario casino hotel, the Niagara Fallsview Casino Resort is fun for non-gamers and gamers alike. In addition to over 100 gaming tables, Niagara Fallsview Casino is one of Canada's premiere destinations for live performance and the casino hotel offers Niagara Falls accommodations, a spa, shopping and an array of dining options. Casino Rama, is a large casino, hotel and entertainment complex located on the reserve land of Chippewas of Rama First Nation, in the town of Rama, Ontario. This large casino offers a complete entertainment experience with more than 2,500 slot machines, more than 110 table games, 10 unique restaurants and a world-class, 5,000-seat Entertainment Centre. 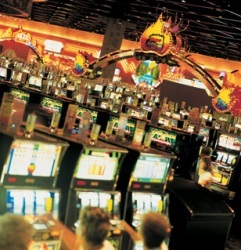 Since 1996 Casino Rama has been operating 24 hours a day, seven days a week. It is Ontario's only commercial casino, and is operated by Penn National Gaming, Inc. The resort also includes a 300-room all-suite, full-service hotel that features a spa and adult-only health club facilities.